Why Purchase In The Smoky Mountains? Whether you are considering a permanent move, looking for an investment or a second home there are numerous reasons why the Great Smoky Mountain area is a great choice to consider. With a variety of locations, year round beauty and the inspiring mountain backdrop it is a wonderful place to call home. Gatlinburg is a rare gem. This tiny city may very well have been lost such as many remote southern rural towns. However, the creation of the Great Smoky Mountains National Park changed the destiny of this city immediately. Restaurants and hotels sprang up rapidly to accommodate the influx of tourists coming to see the “Nation’s Most Visited National Park”. Hemmed in by mountains on all sides, Gatlinburg is never at a loss for magnificent views. Clean, rocky, boulder-strewn creeks and rivers run through the city with a beautiful zen-like quality. Wildlife such as; deer, black bear and turkey roam the area even into the city. Ober Gatlinburg gives the city the allure of being a ski resort/winter sports center. Year-round activities and festivities keep this tiny burg hopping. The topography of this location makes it easy to access the city amenities and within minutes you can escape to the seclusion of your own private cabin, chalet or condo. The greatest appeal of Pigeon Forge is the natural surroundings that boast four distinct and mild seasons to satisfy the lifestyles of all residents and visitors alike. It is close to The Great Smoky Mountains National Park Entrance and a short drive to Cades Cove. Homes for sale in Pigeon Forge, Tennessee are reasonably priced and exceptional in value. Buyers looking to relocate or invest in a second home, will find the real estate market in Pigeon Forge to be varied in styles and amenities, offering mountain charm and modern conveniences, surrounded by the tranquility and hanging blue mist of the Great Smoky Mountains. Located between Pigeon Forge and Townsend, Wears Valley is a peaceful and secluded setting surrounded by breathtaking mountains and within reach of the Great Smoky National Park by way of Metcalf Bottoms, its own entrance to the National Park and one of only five. Wears Valley is a prime location for investment properties, second homes for peaceful vacations, or single family homes for full-time residents. The low crime and tax rates of Sevier County, along with excellent public schools run by the Sevier County School District, are what make Wears Valley a fabulous location to own property. These are just a few of the distinctive locations to consider in the Great Smoky Mountain region. Looking at just these three locations leaves no doubt that Sevier County is a prime location to consider a real estate purchase. All of this coupled with an improving real estate market make now a great time to start looking. We invite you to begin at our website to search out the right opportunity for you. I receive many questions regarding what our property taxes are here. So this week’s blog looks at Sevier County property taxes on mountain homes. The property tax rate is per $100 assessed value of the home. 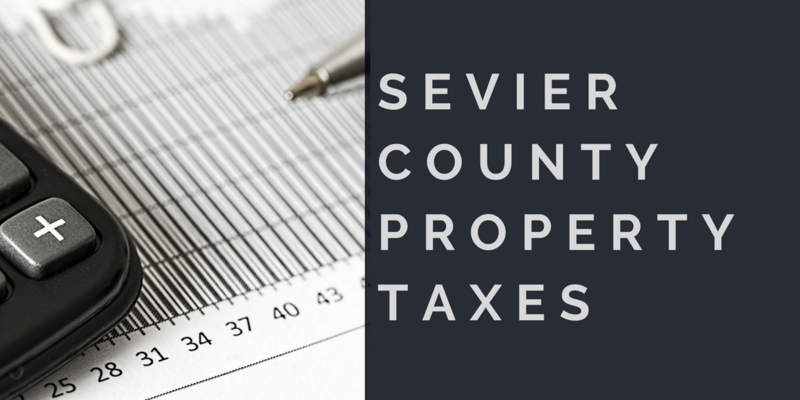 County tax for Sevier County is $1.63 per $100 assessed value. City tax per $100 assessed value is: Sevierville is $0.31. Pigeon Forge is $0.200, Gatlinburg is $0.1493, and Pittman Center is .85. The ratio of assessment is 25% for residential/rental property. This applies to owner occupied homes and second homes. See the examples below for a home assessed at $100,000 and $250,000. Resort Living At It’s Best!! Want the best close to town of Gatlinburg for shopping and dining? This resort offers a community pool for your enjoyment as well as utility water and sewer, garbage service and high speed internet. Great building site in desirable Black Bear Falls in Gatlinburg. On site pool and easy access to all the attractions Gatlinburg has to offer. Contemporary cedar and stone mountain home sold fully furnished and close to the owner’s club w/ pools and tennis courts. Two private master suites each w/baths and balconies. Enjoy the cathedral ceilings, screened patio, sauna, and enclosed hot tub room. Just Reduced! An Architectural Icon! This commanding architectural icon is an award winning design. Fantastic floor plan, quality contruction, outrageous mountain views from all rooms, gas generator, lots or level parking and 5 master suites all with their own screened in porch. Must see!